Source: http://www.livescience.com/9679-people-prefer-ear-listening.html, author: Robin Lloyd, 24 June 2009. A well-known asymmetry in humans is the right ear dominance for listening to verbal stimuli, which is thought to reflect the brain's left hemisphere superiority for processing verbal information. This preference for hearing with the right ear is also found in rats, Japanese macaques, harpy eagles, sea lions and dogs. However, until now, the majority of studies looking at ear preference in human communication have been controlled laboratory studies. There has very little published observational evidence of spontaneous ear dominance in everyday human behavior. Now, in a series of three studies in Italian discotheques, Luca Tommasi and Daniele Marzoli of the University "Gabriele d'Annunzio" in Chieti, Italy, have observed ear preference during social interactions in noisy night club environments. The findings were recently published online on June 20 by the journal Naturwissenschaften. In the first study, 286 clubbers were observed while they were talking, with loud music in the background. In total, 72 percent of interactions occurred on the right side of the listener. These results are consistent with the right-ear preference found in laboratory studies and questionnaires, and they demonstrate that the side bias is spontaneously displayed outside the laboratory. In the second study, the researchers approached 160 clubbers and mumbled an inaudible, meaningless utterance (such as "babababa") and waited for the subjects to turn their head and offer either their left of their right ear. They then asked subjects for a cigarette (in Italian the request specifically was "Hai una sigaretta?" which can be translated in English as "Do you have a cigarette?"). Overall, 58 percent offered their right ear for listening and 42 percent their left. No link was found between the number of cigarettes obtained and the ear receiving the request. Taken together, these results confirm a right ear/left hemisphere advantage for verbal communication and distinctive specialization of the two halves of the brain for approach and avoidance behavior, Tommasi said. The brain's left hemisphere is more involved in language processing, which justifies the preferential use of the right (contralateral) ear for listening in every day situations, he said. "The left hemisphere, moreover, is more involved in approach behavior, whereas the right has a role in withdrawal and avoidance behavior: these facts probably are at the basis of the slight difference in proneness to offer cigarettes in the experiments reported," Tommasi said. Not only do humans prefer to hear in the right ear, we actually hear information better in our right ears, Tommasi said. "It depends on the type of input: speech is heard 'better' with the right ear, if the characteristics to be processed are those connected to the sounds of a given language (i.e phonemes), whereas the left ear might have an advantage in discriminating non-phonemic aspects of speech (i.e. prosody, emotional cues, etc. )," Tommasi said. And for music, environmental sounds and noises, there are differences between the capacities of the brain hemispheres and thus the ears. Pitch, timbre and loudness are discriminated better with left ear (right hemisphere), but duration is better discriminated with the right ear (left hemisphere). 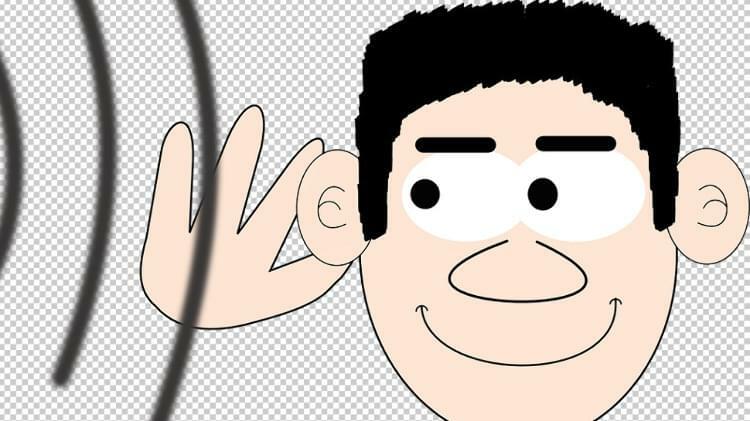 "As you can see, the picture is not so simple, but when it comes to the informational content of language the right ear predominates," Tommasi said. Regarding their latest discotheque findings, Tommasi and Marzoli conclude: "Our studies corroborate the idea of a common ancestry — in humans and other species — of lateralized behavior during social interactions, not only for species-specific vocal communication, but also for affective responses. The research was part of a project supported by the Commission of the European Communities. This article was read 4250 times.